New Yorkers are incredibly lucky to have what seems like infinite gluten-free bakeries at their disposal, and I was excited to check out another on our quick stop en route to Rome. Pip’s Place is just a hop, skip, and a jump from Grand Central Station, making it convenient to locals and visitors alike. Its inviting pink storefront and helpful street signage makes it easy to find. 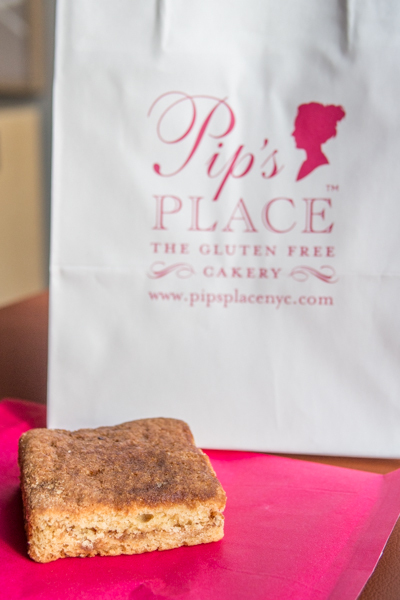 Pip’s Place specializes in absolutely beautiful gluten-free cakes, so be sure to look up the bakery if you have an upcoming occasion that demands cake, or even if you just need an entire chocolate cake. We’ve all been in that position. If you’re in the market for something smaller, a variety of sweets is the way to go. 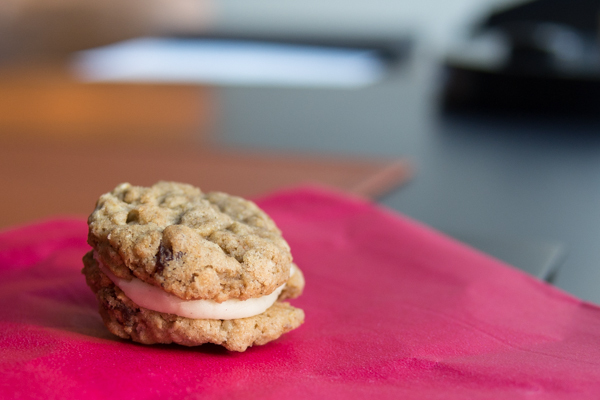 The oatmeal cookies are delicately flavored with vanilla and almond, and the buttercream frosting gives the mini cookie sandwich the perfect extra sweet kick. The sour cream coffee cake is standard, with just a hint of cinnamon and a buttery crumb. 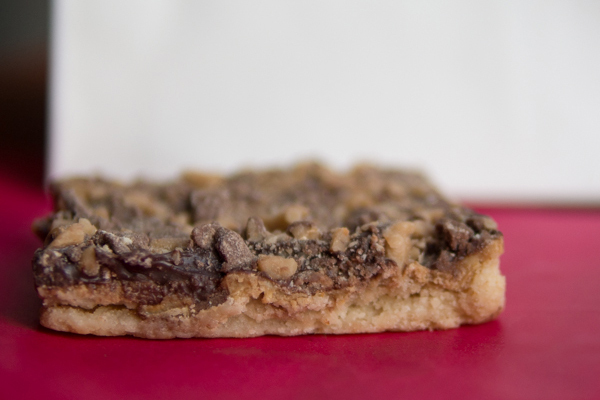 The Heath Bar square is the standout here, with its delicious, buttery shortbread base, rich caramel center, and ample toffee topping. This tasty bar can serve as a meal on its own, or share with your dining companions so that you can sample more of Pip’s indulgent sweets. Where? 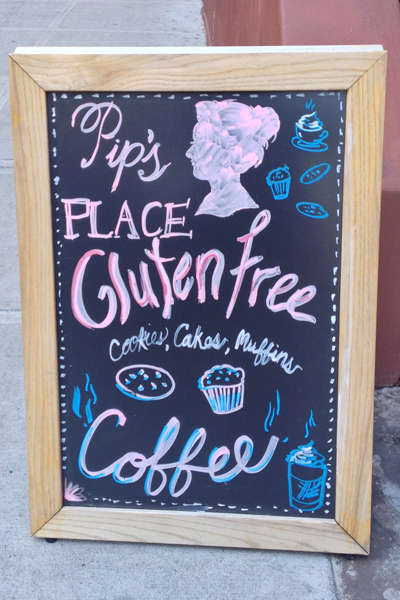 Pip’s Place is located on the Upper East Side and in Midtown Manhattan. I went to the latter: 127 East 39th Street, New York, NY (646-823-9393).